Want a tasty protein hit with no added sugar? Try Vitasoy Soy Milk Protein Plus, made from organic Aussie whole soybeans. 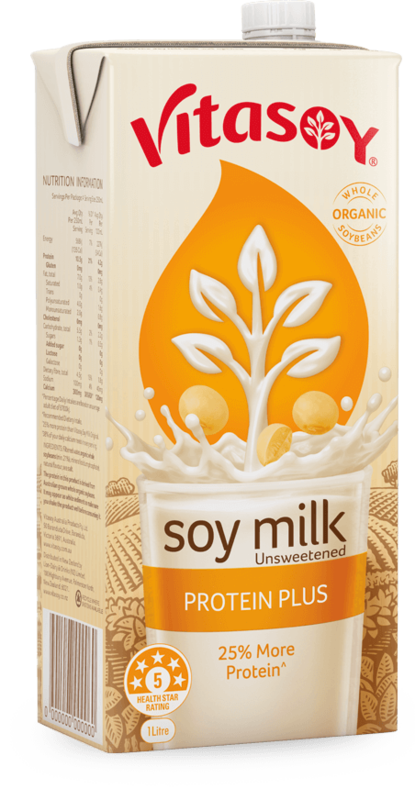 Vitasoy Soy Milk Protein Plus provides 10.5g of protein per serving. 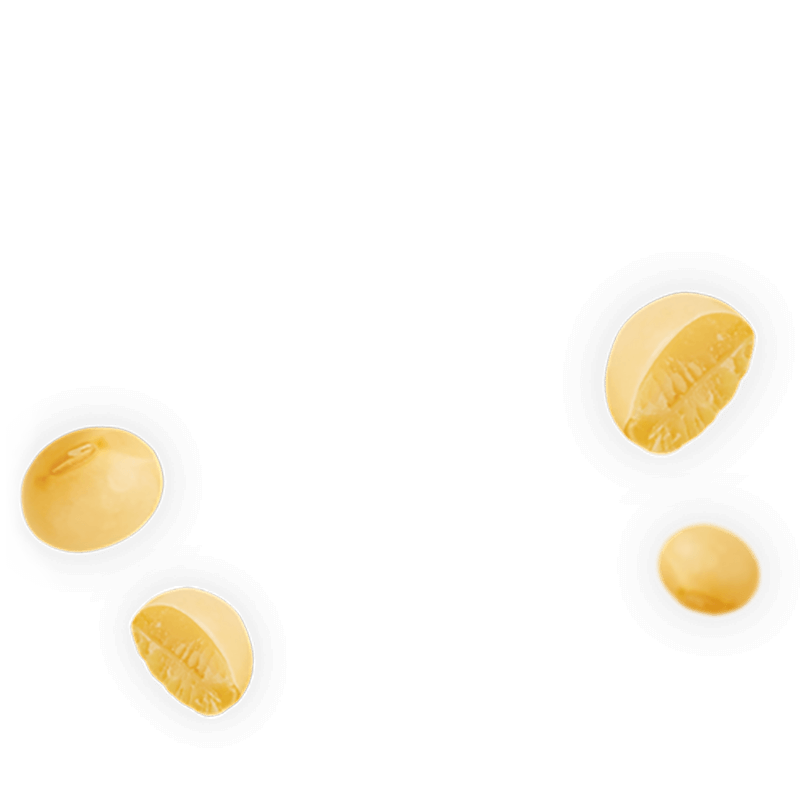 All of the protein is derived from Australian grown organic whole soybeans. It also provides a third of your daily calcium needs^, so you can savour every sip. It’s naturally free from dairy, lactose, gluten and cholesterol. Plus there’s no added sugar and no artificial colours, flavours or preservatives. 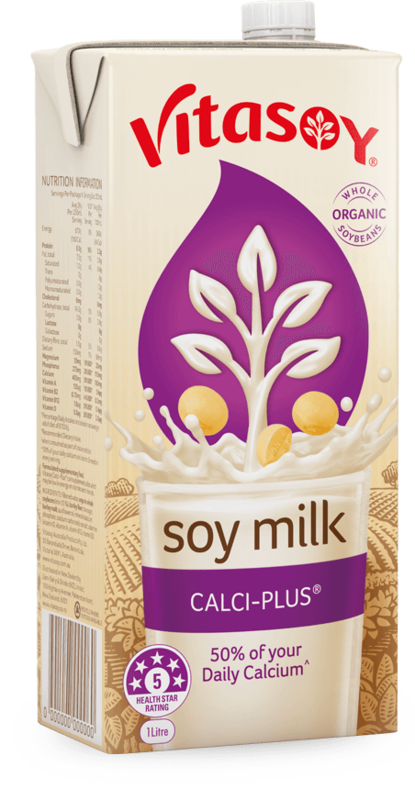 Bringing you a delicious protein-rich soy milk, brimming with the good stuff. 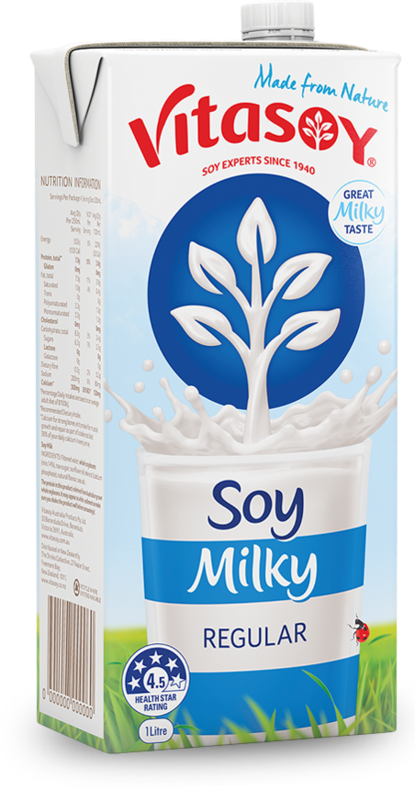 Find your Vitasoy Soy Milk Protein Plus chilling in the fridge, or pick it up in the long-life aisle nestled amongst the other UHT and plant milks. 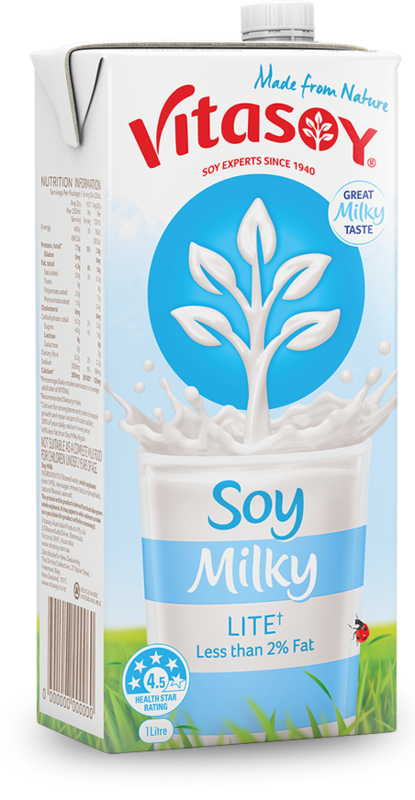 Ingredients: Filtered water, organic whole soybeans (min 21%), mineral (calcium phosphate), natural flavour, sea salt.